What is the benefit of hiring a professional photographer for your wedding? 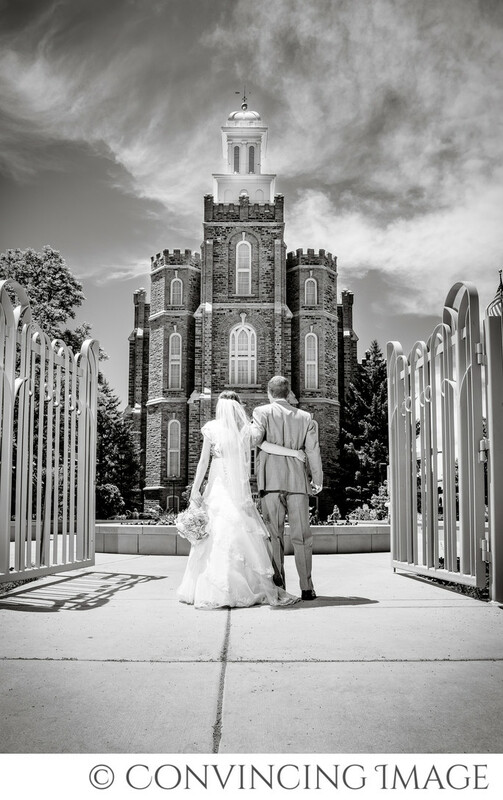 We've shot a lot of weddings in Logan, Utah. We've seen and talked with a lot of brides over the years. It's a wonderful profession and we love all the couples and families we've gotten to know over the years. We love what we do! I have talked with numerous former-brides that wish they would have spent more on their photographer. Perhaps you have a friend or neighbor or family member who is willing to do your photography for free. While it's a nice gesture, you only get a wedding once and you want to remember in the best way possible. When a photographer is experienced, they realize that there are risks in taking wedding photos. One risk is that you could lose someone's wedding. A seasoned pro will have extra SD cards, a backup camera and likely a second shooter in the event of an emergency. We have all of those! There is also the risk that your photographer may not know how to handle certain lighting situations, which may mean you will get bad photos, or possibly no photos at all. Ask your photographer what they do in bad lighting situations. Why else? A professional photographer will know how a typical wedding day goes. Quite often, brides look to us for help in keeping their day flowing. We often help them plan their timelines to make sure things go smoothly. We always tell them to plan extra time for each event of the day because things are likely to run long. We recommend to brides who are looking to hire a professional, but have a friend who wants to shoot for them to ask their friend to shoot something like getting ready shots or bridal showers.